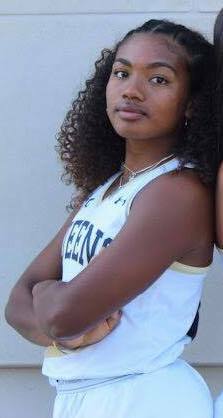 Playing in the inaugural South Atlantic Conference Carolinas Field Hockey Championship, Maha Clarke and her third-seeded Queens University of Charlotte Field Hockey teammates fell 3-2 to top-seeded Limestone College. The Royals' record moves to 9-10 on the year following the loss while the Saints improve to 14-4. A goal scored by Samantha D'Antonio in a penalty corner opportunity in the 66th minute of play gave the Saints the one-point lead they needed to take today's Championship title from the Royals. Kelly Diplock was awarded the assist on the game-winner. The Royals found themselves trailing 2-0 at the break after the Saints outshot Queens, 8-3, in the opening half. Kate Remley found the back of the cage on a pass from Thando Muchemenyi in the 11th minute, and a goal from Diplock followed in the 31st. Queens then made its comeback in the second half putting two points on the board to knot the game. Hanna Nechay scored the Royals' first goal of the day off of a penalty corner in the 50th minute. Both Maya Forbes and Carey Karl were both awarded assists on the play. Jill Sherman then scored the game-tying goal in the 55th minute beating her defender one-on-one before drilling the ball into the cage. Queens continued to hold the Saints scoreless in the period until D'Anthonio was able to score the game-winner in the 66th. The Royals were outshot, 12-8, though they were just edged in shots on goal, 8-7. Additionally, the Royals earned nine penalty corners to Limestone's seven. Queens goalkeeper Jet van den Berg completed play with five saves while Susie Williams of the Saints totaled four saves.